A multilingual digital marketing agency approached us with a project for a company that designs, engineers and manufactures sails for racing and cruising sailboats. The task was to translate this company’s website, news and marketing materials from English into Russian. 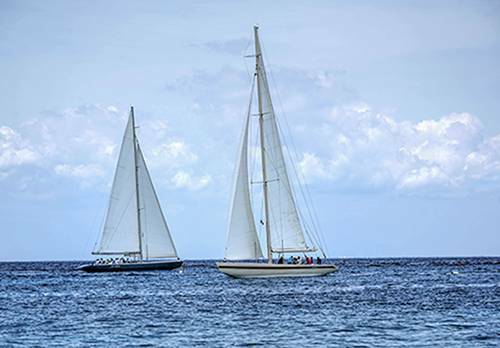 The content for translation was very rich in highly specialised terminology describing sailboats, sails, and racing. From “On full batten sails, the forward end of the batten (The Luff End), rests in a solid receptacle” to “3D shapes are translated into panel layouts for downwind sails”, translating a text of this kind could have been a disaster if performed by a translator without a complete understanding of the subject. In addition, the web and marketing materials required a more creative approach than a straightforward word-by-word technical translation. We at Translators Family hired a team of translators specifically for this project. The translators have personal experience in sailing either as amateurs or professionals. Thanks to their deep knowledge of the subject, they have translated the project correctly and in the language the sailing experts are used to. We started with the translation of a glossary which was confirmed by the client. The glossary, as well as the use of CAT tools, allowed us to maintain consistent translations throughout the project, even when we needed to assign several translators for the sake of urgency. One of the expert translators took part in the project as a technical editor, ensuring correctness of terminology and style. Our linguistic proofreader polished the text, making it sound perfect for marketing purposes. Finally, our QA and project managers made sure that the text was free of any errors and met the client’s requirements. The client was very satisfied with our translation, which is why the marketing agency continued their cooperation with us. They offered us more exciting projects which involved not only translation, but also transcreation and SEO translation. The agency demands nothing but top-quality service, and with their in-house quality control they do not accept average results. This approach appeals to us, and we are happy to operate at full steam to meet the highest of expectations.